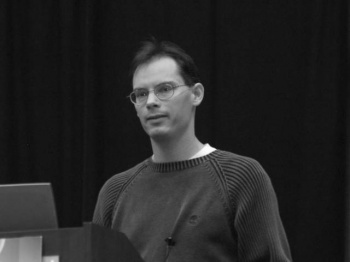 Epic Games founder and CEO Tim Sweeney is set to be the 16th developer to be inducted into the Academy of Interactive Arts and Sciences' Hall of Fame. "I've had the pleasure to work alongside Tim Sweeney for nearly 20 years. Many people in the game industry are aware of what a brilliant technical visionary he is, but what they might not realize is that he is also a great leader and thinks deeply about how to use technology to empower artists and creatives to be successful and realize their vision - not only at Epic but around the world in the studios who license our Unreal Engine technology. Tim's sense of fairness and doing what's right, not just for Epic but for the industry as a whole, is also what makes him so admired among the people who know him. I am very proud to call him my friend and mentor, and am thrilled that I will be able to present this well-deserved award to him. I wish everyone in the industry could know Tim as I do." While Epic's current flagship game Gears of War might not be to everybody's taste, Sweeney's impact on the industry is undeniable. His company is responsible for the Unreal series, Jazz Jack Rabbit, Infinity Blade and ZZT. The various incarnations of the famous Unreal engine have powered hundreds of games; from Deus Ex, Bioshock and Undying, to Batman: Arkham Asylum and Borderlands. Congratulations, Mr Sweeney, and thanks.